Centering Prayer is a spiritual discipline designed to facilitate our ability to listen and respond to God’s presence more fully in our lives. It develops an ancient prayer form of meditative prayer (as presented in The Cloud of Unknowing) in a contemporary idiom. Centering Prayer is an apophatic form of prayer that can help us to co-operate with God’s gift of grace by moving beyond thoughts, words, images and feelings into the silence of our hearts. It is there, at the center of our being, that we learn to attend to the Spirit of God who dwells within. It is not meant to replace other kinds of prayer, and it in fact depends upon the regular practice of cataphatic forms of individual and corporate prayer that rely on thoughts, words, and images. During the time of Centering Prayer, our intention is simply to rest in God’s presence and consent to God’s action within. At other times, our attention and intention moves outward to discover and respond to God’s presence in the world. 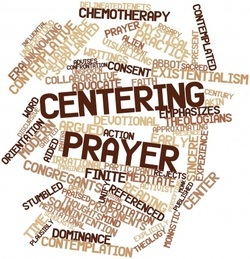 Centering Prayer is a discipline to be learned and practiced regularly as an integral part of our spiritual life in the community of faith. This intensive one-day retreat will consist of four brief talks and two periods of centering prayer. The talks explore prayer as relationship, the method of centering prayer and its fruits. Also there will be ample time for responding to participants questions.